Monroe Barrick (Donado) Monroe is making his third appearance with PAC. Prior performances include Maria Marten or The Murder in the Red Barn and All’s Well That Ends Well. A Philadelphia based actor, he has appeared at numerous venues in the region. Some past productions include V to X, 12 Angry Men, The African Company Presents Richard III, Radio Golf and Our Town. Much love to the production team, my family, and those who support live theatre. ​Brandon Castillo (Grimaldi) Brandon is ecstatic to make his Philadelphia debut in ‘Tis Pity She’s A Whore. Brandon recently graduated from Rowan University, where he received his B.A. in Theatre Arts. During his time at Rowan University, Brandon took part in a number of performances there. Including portraying Aaron in Titus Andronicus and Firs in The Cherry Orchard. Brandon would like to thank the cast and crew of this fantastic production and his friends and family. Trevor Fayle (Giovanni) Trevor couldn't be happier to be here for his first PAC show! Most recent credits include Awake and Sing! at Quintessence Theatre Group, Mamma Mia! at City Theater, and Hapgood at Lantern Theater Company! Huge thanks to Jess and the whole cast, Love to Campbell. Enjoy the show! Nathan Foley (Florio) Nathan is thrilled to be back for his fifth (fifth?!) production with the Philadelphia Artists’ Collective! Nathan is a voiceover and theatre artist who has worked locally with Lantern Theater Company, Commonwealth Classics Theatre Company, Walnut Street Theatre and the Mendelssohn Club, appearing most recently in EgoPo’s Classic Theater’s Lydie Breeze trilogy as well as countless pharmaceutical ads. Many thanks to Jessica, Dan, Damon and Charlotte. Love to Rosemarie, Theo and James! Stephanie Hodge (Annabella) Stephanie is elated to finally be playing with one of her favorite Philadelphia companies. New to the city this year, she’s appeared as Viola in Twelfth Night at the Powel and worked with People’s Light and the Pennsylvania Shakespeare Festival (four seasons, including: All’s Well that Ends Well and The Three Musketeers). Gratitude and love to Jessica and the PAC team. BA: DeSales University (Theatre/Philosophy). Annette Kaplafka (Hippolita)Annette is excited to be back with the PAC, where she previously performed Xena, HE Who Gets Slapped, and Senator, Timon of Athens. Favorite credits include: Olivia, Twelfth Night, Powel House; Margaret, Much Ado About Nothing, and Gower/Burgundy, Henry V, Delaware Shakespeare; Ophelia, Hamlet, Hedgerow Theatre; Stewardess, Camino Real (dir. Michael Kahn) The Shakespeare Theatre. 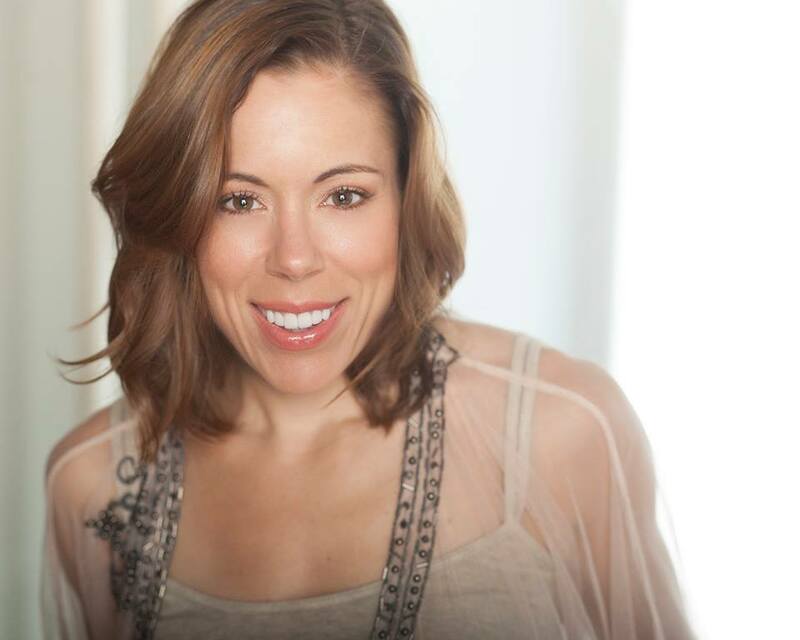 She has numerous national and regional commercial and voice over credits. Up next: Nurse, Romeo and Juliet, Lantern’s Illumination Program. 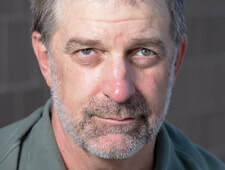 John Lopes (Fr. Bonaventura/Cardinal) John is thrilled to be running with the PAC once more! He has been in numerous PAC productions, including: Changes of Heart, Mary Stuart, White Devil, and most recently, Mary Rose. He is currently an adjunct professor at Temple University, and from time to time can be seen portraying George Washington. unwavering love and support of his family. David Pica (Soranzo) This marks David’s second production with PAC. Previously Seen In: The White Devil. Other Regional Credits: Hedgerow Theatre, Lantern Theater Co., Azuka Theatre, Delaware Shakespeare, Inis Nua Theatre, Revolution Shakespeare, Commonwealth Classic, Quintessence Theatre Group, & Greenfield Collective. He trained at Millikin University, the Royal Conservatoire of Scotland, and in London with The Factory. Abdul Sesay (Vasques) Abdul is a Philadelphia-based actor who has worked with Theatre in the X, Delaware Shakespeare, Play Penn and Philadelphia Young Playwrights. He is honored and overjoyed to work alongside The Philadelphia Artists’ Collective in the production of ‘Tis Pity She’s A Whore. Josh Totora (Bergetto/Music Design) Josh is thrilled to be returning to PAC after previously appearing in HE Who Gets Slapped (Barrymore Award- Outstanding Original Music). Performance credits include: Once (Arden Theatre Co.), It's A Wonderful Life (Walnut Street Theatre), Sleeping Beauty (People’s Light - Barrymore Nom. Outstanding Supporting Actor/Musical), and Hetty Feather (Delaware Theatre Co.) among others. 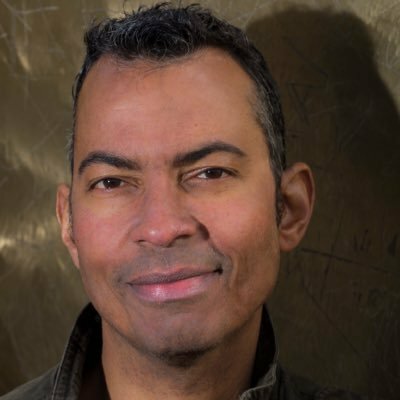 Recent composer credits include Experiential Theatre, Florida Rep, and Children’s Theatre of Charlotte (look for his upcoming musical The Invisible Boy). Jessica Bedford (Director) Jessica is a Philadelphia based actor theatre artist. Jessica was formerly the Associate Artistic Director at Montgomery Theater, where she directed God of Carnage, Bad Dates, and The Twelve Dancing Princesses. She recently directed Collected Stories for Act II Playhouse and Henry V for Delaware Shakespeare and served as Associate Director for A Christmas Carol at the McCarter Theatre. Jessica was a finalist for the 2018 F. Otto Haas Emerging Artist award. Love to SC. Elizabeth Meisenzahl (Stage Manager) Elizabeth is thrilled to be returning to work with Philadelphia Artists Collective on ‘Tis Pity She’s a Whore. Elizabeth has most recently served as Stage Manager for Juniper Production’s ROI Plays directed by Lexa Grace, EgoPo’s production of A Human Being Died that Night directed by Steven Wright, Philadelphia Artists Collective’s production of Maria Marten or Murder in the Red Barn directed by Charlotte Northeast, Revolution Shakespeare’s production of Cymbeline directed by Jared Michael Delaney, and Villanova Theatre’s production of Marisol directed by James Ijames. Elizabeth is also a local actor recently seen in the successful Manayunk Theatre Company’s Fringe production of ShakesBeer Roulette directed by Lexa Grace. 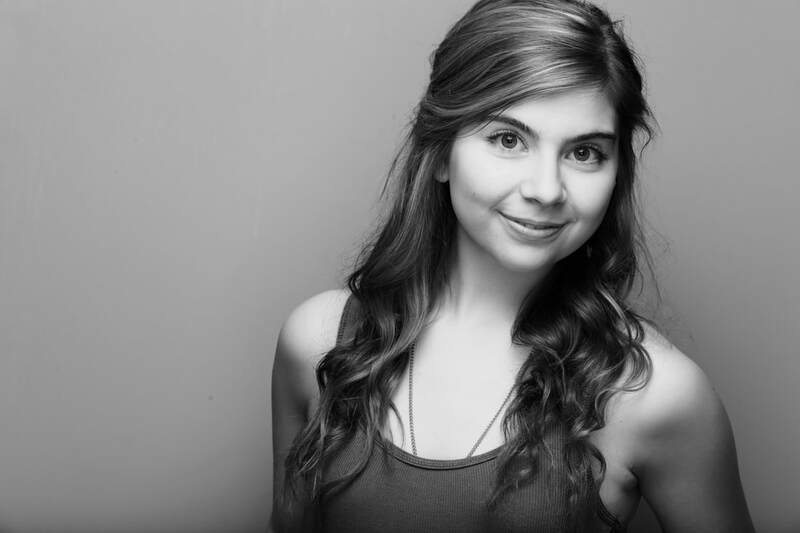 Elizabeth received her MA from Villanova University’s Theatre Department in 2018. 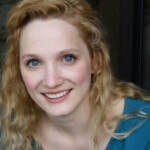 Millie Hiibel (Costume Designer) is a Philadelphia based costume designer for dance, theater, opera and film. (NYC) New Victory Theater, Village Theatre. (Regional) Philadelphia Theater Company, Arden Theatre Company, The Wilma Theater, Cape May Playhouse, The Playhouse Square, Bristol Riverside, Enchantment Theatre Company, Delaware Theatre Company, Lantern Theater Company, Luna Theater Company and many others. Millie is the costume director for Opera Philadelphia as well as adjunct professor at University of Pennsylvania and Rutgers University. Eli Lynn (Fight Choreographer) Eli (they/them) has studied stage combat for over nine years, and is a recognized Advanced Actor Combatant with 5 international organizations. They currently apprentice under Broadway Fight Master Ian Rose and are working towards Certified Instructor status with both the Society of American Fight Directors and Fight Directors Canada. They are also an apprentice with Intimacy Directors International (teamidi.org). Onstage appearance include shows at Interact Theatre, People’s Light, and Mauckingbird Theatre Co. Soli Deo Gloria. 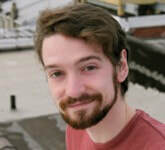 Dustin Pettegrew (Set/Props Design) Dustin is pleased to make his PAC debut. Philadelphia area credits include Bob: A Life in Five Acts (Azuka Theatre), 74 Seconds to... Judgment (Arden Theatre), Dishman Springs (Hedgerow Theatre), A Chorus Line, The Fantasticks, My Fair Lady (Bucks County CPA), Trigger Warning (Prime Theatre Syndicate), and Seventy IV Seconds to... Judgment (GoKash Productions). Dustin has also had work in Chicago, Florida and Maine. MFA Temple University. James Lewis (Lighting Design) This is James’ first solo Design with the PAC and he’s glad to be back after working on Maria Marten or the Murder in the Red Barn and other PAC productions with Robert Thorpe. His most recent credits include Princeton Youth Ballet’s The Snow Queen, Hedgerow Theater’s Dishman Springs, Dancespora’sConvergence at the Mill Hill Playhouse, Hedgerow’s His Girl Friday & Around The World In 80 Days and The Ritz Theater’s production of To Kill a Mocking Bird. Hunter Smith (Intern Asst. Stage Manager) Hunter is theater production major with a concentration in stage management and design and technology at Rutgers University-Camden. He has worked on the past 11 shows with his school. Outside of PAC he has worked backstage with Ignoble Shakespeare Company, South Camden Theater Company, the Philadelphia Opera Company, and The Lantern Theater Company. This is his first production with PAC and he is very grateful for the opportunity to start off as ASM.